This didnt seem to be coming ! Some of us were travelling to Bedse Caves on a weekend. [ZT] had the amazing MotoX -Ghost aka 2013 one that served as our primary camera and navigator since he was leading. 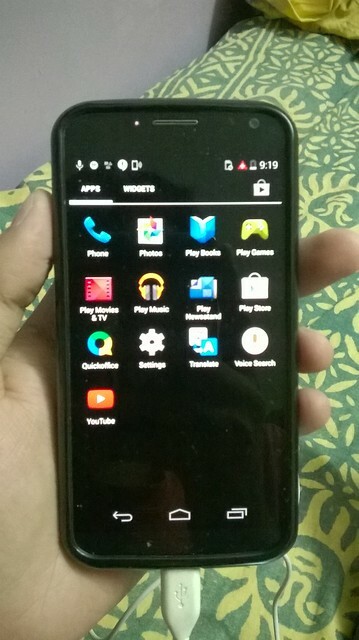 The MotoX was (or rather is) a flagship phone that gave way for the present generation Moto G and E. But it had an AMOLED that usually steals the show.. If you know what i mean. The essence of the trip was captured in the phone and we were to meet the next day to swap pictures. I was anticipating it even more as I wanted to write a short trip entry. The next day [ZT] didnt have the same phone. His hands were graced by a crappy qwerty from the time Texts became cheaper than an alpenliebe. With profound grief he said, Dude it got bricked after installing an OTA for Lollipop. The worst part he had already tried clear memory. We discussed how to get it up and running. The obvious choice being service guys! He submitted the phone for repair. A week passed and he reverted saying the service guys say they cant figure what happened and are saying to change the motherboard costing around 15k INR ($235). Logically.. Its better to buy a new phone. As his search for a new phone began. I thought that since the phone is booting but is stuck in a loop. Maybe the hardware is fine. Its the software that has got hurt. Clueless as a noob, I asked him to give me the brick to play around. He gladly obliged. I searched places to find a solution to assess the gravity of the situation. It turns out, Bootloops are pretty common issues and videos like these were surely encouraging. And if a device enters a fastboot it should be easy to heal it. Thankfully our did. At around 2am the space time matrix budged a bit and i was able to connect it using a micromax cable. Now i started the process whats mentioned on several blogs around the web. Its a generic method to restore any phone via fastboot. It works well on windows i reckon! All you need is a couple of drivers and the OS you wished to flash (obviously for ur device). Folks at XDA Developers have made a streamlined setup for that here. You should get that. Plus you need motorola drivers from motorola website i suggest you get the suite ! When you are all set. Go to the adb folder in C: and type fastboot devices . You should see your device or maybe check USB cable or the word connected written on fastboot screen. Now download the ROM from a trusted source. I got the MotoX Kitkat Asia ROM from here after 5 failed downloads. Now unzip the file and copy the contents of adb folder plus mfastboot exe into the unzipped folder. Rename it to give a short name. You will find a .xml file in the ROM that shows the commands for fastboot installation. You have to prefix fastboot before every command. 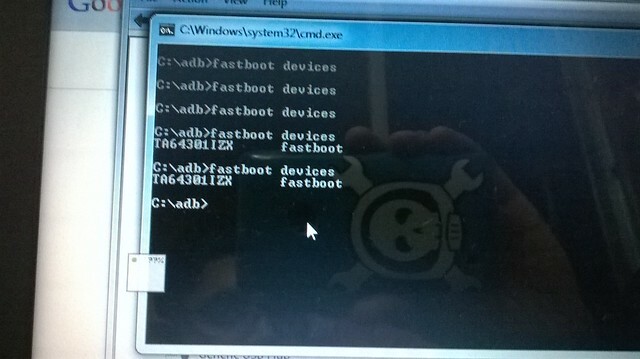 For Moto devices use the command mfastboot flash system system.img instead of fastboot flash system system.img Follow them and make sure your USB is always connected. Mine got disconnected after much efforts that almost killed the excitement for me.I was up all night to get the USB connected after about 100 failed insertion and reinsertion cycles i gave up to try with the last cable that i had but was in use - The Kindle cable. Next Day! It got connected in one shot. 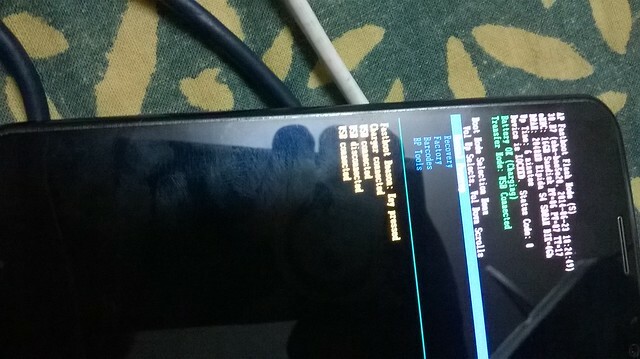 Followed the commands but forgot the last one fastboot oem fb_mode_clear. It failed to boot. After much googling i found out the cure and wrote the command. And it booted…. Yeah!! Victory! There was one problem. The camera was not working! I ran a couple of checks with [ZT] who quickly came to collect the phone ! I turned out that the Ribbon for camera had loosened. We just pressed it a bit and it was up and running again. If you guys need any more info shoot the queries in the comment window.